Oftentimes the success of a project or product can hinge on a fastener. By identifying potential problems early, MVMTC can help you earn needed approvals, reduce operating and replacement costs, and ensure greater operating safety and overall quality. 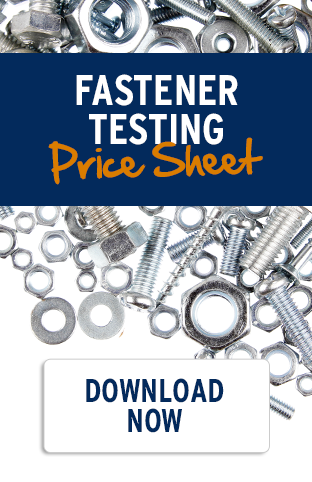 Our testing laboratory is fully equipped and dedicated to precision fastener testing to meet your requirements.